Fascinated by policy and government? Embrace your interest in politics! Pursue a career in law, government or education with minor in political science. Study human behavior through the lens of government rules, law and order. Gain understanding of our political systems, parties and platforms, policies and trends. 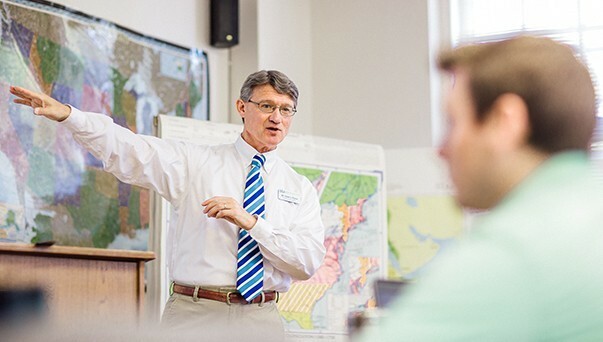 Courses focus on issues that range from philosophy to terrorism to leadership. Become a knowledgeable citizen, and learn from our fabulous teachers! Our low student-to-teacher ratio offers valuable one-on-one interaction with professors. Examine the past, and learn how history affects the future. Share your love of history as a history teacher. DWU offers the only nonprofit administration major in the region. Be prepared for the LSAT and the rigors of law school.